The ever keen twitter users never miss a single glimpse of something to trend about. 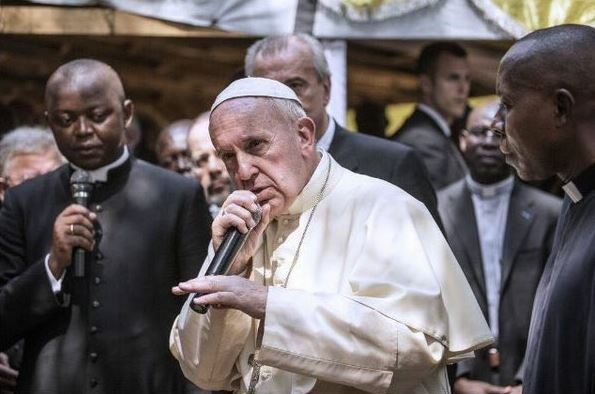 This time how the pope held the Mic has left many talking. Well for sure by a look at things in a lay-man’s perspective you would reason out that the pope is or was about to rap at the moment the photo was taken. The Photo was snapped at Bangui which was his final destination in his 6 day tour in Africa. Uhm #PopeBars ?!?!?! I'm dying! THE BEST!!!!!!!!! !